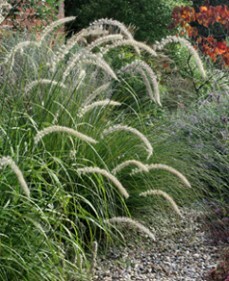 Pennisetum is also called fountain grass. 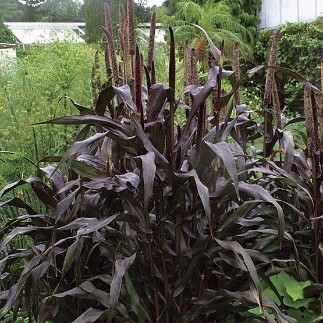 The flowers on these grasses are bristle shaped, like a bottlebrush, and make great cut or dried flowers; the foliage is usually mounded, giving the appearance of a fountain. 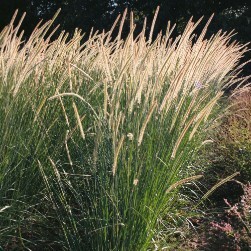 Easy to grow in full sun or light shade, they like regular moisture. 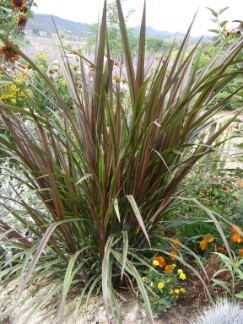 They are warm season, clumping grasses.